If you're a music fan, there's no better source than the Internet. A high-speed connection and a good set of speakers or headphones turn your computer into a digital jukebox. With online music services, you can listen to commercial-free channels or choose from your favorite artists and songs; others allow you to burn songs to a CD or load them on a portable player for mobile listening. As the list of online music services continues to grow, you will undoubtedly wonder which is best. Unfortunately, there's no easy answer. The right one for you depends on your musical tastes and how you like to listen to music. 6 How do I pick a service to use? Music services break down into two basic types: subscription and non-subscription. With non-subscription services, you pay to download individual songs or an entire album. Apple's iTunes Music Store has sold well over a billion songs in the US $.99. With subscription services, you pay a monthly fee to access libraries of a million or more songs. But you don't actually own the songs. Once you end your subscription, the music stops, unless you've actually purchased individual songs. 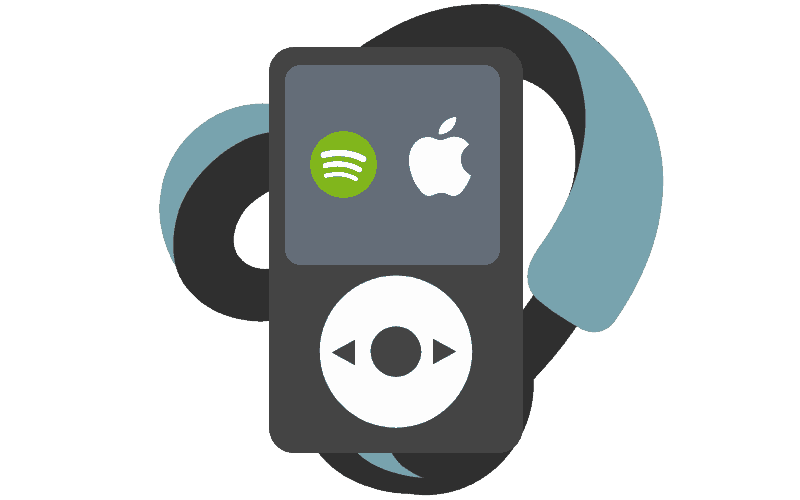 Most subscription services also charge an additional fee for their “To-Go” service, which lets you load songs on a portable device, like an iPod. When evaluating a service, consider your listening habits. Perhaps the most important question is whether the service has the music you want. It doesn't matter what it costs if you don't like the tunes. While most services have large libraries, it's quality, not quantity that matters. For instance, eMusic specializes in non-mainstream artists–terrific if you like Mingus, but not if you're a Madonna fan. The good news is that most of the services offer free trials since you won't really know what's stored in the music vault until after you join. If you don't like the service, be sure to cancel before the trial period is up or you'll be billed for at least a month. There's nothing to prevent you from using a mix of services–downloading songs from MSN Music and subscribing to Napster for everyday listening. Since most services only require a month-to-month commitment, you can cancel at any time. To choose the right service, it helps to understand a bit about digital music files and copyrights. You've probably heard about MP3 files, the digital format that launched the online music revolution in the 1990s. It shrinks the size of audio data while preserving sound quality, so music files can be easily distributed over the Internet. While MP3 remains very popular, two other file formats are hot on its heels. AAC (Advanced Audio Coding) has improved on MP3 by requiring fewer data to reproduce the same sound quality. Songs downloaded from Apple's iTunes Music Store are encoded in this format. WMA (Windows Media Audio) has the same audio quality as MP3 with only half the file size. This means that you can store twice as many songs on your hard drive or portable player than with MP3. While there are other formats in use, AAC, MP3, and WMA are the big three formats used by digital music services. Your personal computer can probably play songs encoded in any of the formats, but most portable music players cannot. For instance, iPods play MP3 and AAC files, but not WMA files. Bottom line: Your portable player may determine which service you can use. It took the music industry a long time to embrace the digital music revolution because it feared losing control of its product. Since the industry makes its money by selling CDs, if people can freely exchange perfect digital copies of songs, well…there goes the profit. To allay this fear, engineers have built technical safeguards into some digital file formats that control duplication and sharing of music. Referred to as Digital Rights Management or DRM, both AAC and WMA files employ DRM technology (MP3 files don't). This is important because it restricts what you can do with songs you download. For instance, you may be able to burn a song to a CD only a limited number of times. Some services require special software for downloading digital music files, but when you sign up for service, the software is automatically installed on your computer. You may already have the software you need to play digital music: Windows Media Player or iTunes. If you don't, you can download them for free–either from Microsoft or Apple. Digital music services have undergone constant change since they first appeared in the late 1990's. Digital file sharing turned the music industry upside down, and it has taken years to adapt. However, there are now many different online music service providers that have emerged in the last few years. The industry has now evolved beyond digital ‘hard' files, and now most internet music providers emphasize “Streaming” music over downloadable content. You simply use the application to listen to songs you like, without messy downloads, and it is either free or costs a small subscription. Spotify Y Paid Free / $9.99 monthly One of the most popular “Freemium” services for listening to music on the web. It is free to listen with Ads or costs $9.99 a month for Premium, which has no Ads and allows for offline listening via downloads. Pick any song to listen to at any time, or create a radio station based on favorites. Pandora Y No Free / $4.99 Pandora was one of the first streaming services to emerge. Its goal was to allow listeners to create custom radio stations based on the artists, songs, or genres they enjoy most. By liking or disliking songs, the radio channels self-improve over time. It is free to use, but Pandora One, their premium service costs $4.99 a month and allows for more song-skips, and no ads. Apple Music Y Paid Free /$9.99 monthly iTunes was the biggest and most successful service that commercialized digital music. Charging per song or per album, a lot of money was generated. However, Apple recently has come out with Apple Music, which is more competitive with other music streaming services. It has a free and premium tier which integrates with your Apple music library. Google Play Music Y Paid Free / $9.99 Google had a music store similar to iTunes, but now has the same service found elsewhere. Free music with ads or paid service for no ads. It is available on all Google applications and Android devices. LastFM Y N Free / $3 monthly A music service about exploring trends and genres, LastFM has aspects of a social network where listeners can use the “Shoutbox” to leave comments on their favorite tracks. LastFM isn't about having a music collection, but rather a music ‘connection' between song creators and listeners. Tidal Y Y $9.99 / $19.99 monthly Tidal was launched by a collection of high profile artists, spearheaded by Jay-Z, with the aspiration of putting the music back in the hands of its creators. It has come under criticism from some music commentators, but it offers a service that listeners enjoy. It offers select music for a cost of $9.99/month for premium, and $19.99/month for “Hi-Fi” which offers a higher music bitrate (better quality). SoundCloud Y Sometimes Free / $6 / $15 monthly Soundcloud is a service focused on providing music hosting to artists directly. Artists pick which audio clips to upload, and maintain a social following. Listeners can comment directly on the track at a specified timestamp in the song. It is perhaps the best way for budding musicians and sound artists to get their voice heard, it is essentially the Youtube for audio. Every song uploaded can be streaming only or enabled for download. The monthly pricing is not for listeners, but for uploaders. Having a professional account means more control over a profile page. Rdio Y Paid Free / $3.99 / $9.99 Similar to other services, Rdio has ads for the free tier, Rdio Select for $3.99 monthly, and Rdio Unlimited for $9.99 monthly. For the Select Tier users can download up to 25 songs, for Unlimited there is no cap. Audio quality is at 320kbps, and completely on demand. Discounts are available for students and families. Slacker Radio Y Paid Free / $3.99 What Slacker Radio boasts is that it is powered by humans. Listen to free with ads, or pay $3.99 to remove them. Radio stations are programmed, but expert listeners have crafted hundreds of custom radio stations that have a more human touch. It has integration with Twitter for sharing content and alerts. Amazon Music Y Per Song Per Song You can have unlimited streaming music if you pay for the Amazon Prime, which is $99/year. If you want to download a song, it's on a per track basis. However, unlike other services which just put the track into “offline” mode, you actually have an audio file that you download and can listen to on any desktop player. How do I pick a service to use? With so many options, all having very similar features, it can be challenging to decide what service is right for you. The question you should ask yourself though is how will you be listening to the music. If you use your mobile phone with headphones, selecting the service which integrates with your phone system might be the way to go. For Apple Enthusiasts who have multiple Apple Devices and a long-standing iTunes library, Apple Music might be the right fit. For people who have a similar collection on Google Android devices, including Android TV, that might be the best option. Or for people who use multiple operating systems, choosing a platform agnostic service like Spotify or LastFM is the way to go. Since many of these options are absolutely free (with ads), you can actually try these services before deciding if you want to pay for them. You might end up using more than one, and that's okay, music is about exploration and there are so many different ways to listen. Go try and decide for yourself. Digital audio files found on CDs are usually very large. But MP3, a file format that shrinks the audio data while preserving the quality, has made the distribution of near-CD quality music as easy as a click of your mouse. MP3 enables you to download songs quickly. A minute of music in MP3 format is about 1 Mb, so your average pop tune may be under 4 Mb. With a broadband DSL or Cable Internet connection, it only takes a few seconds to download an average length song. To play MP3 files you need an MP3 player, which comes in two varieties: portable players and software players. The portable players are hardware devices like an Apple iPod or virtually any modern smartphone. Software players are programs you install on your computers such as Windows Media Player, iTunes, RealPlayer, and VLC Media Player. By the way, if you need help, read our step-by-step instructions for downloading software. Once you have the player installed, it's time to listen to some music. A few good places to start finding music are the Google Play Music Store, iTunes, and Amazon Digital Music. After you download a song, you can play it as many times as you want. If you buy a portable MP3 Player such as an iPod, or if you have a smartphone, you can transfer songs from your computer to the device for music on-the-go. Apple's iTunes software is bundled with iOS and OS X – so it's preinstalled on every Apple device. iTunes is also available as a free download for Windows operating systems. However, iTunes is not available for Android operating systems. Music purchased from iTunes will automatically play in the iTunes player, so if you are able to buy music in iTunes, you can always play it on the same device you used when making the purchase. However, music downloaded from iTunes is in AAC format, not MP3 format. As a result, you aren't able to easily play music downloaded from iTunes on an Android device. However, there are workarounds that will allow you to access music purchased from iTunes on an Android device, it will just take a little extra effort. You should be aware that some people take songs from CDs, convert them to MP3 files, then post them on the Web or share them via peer-to-peer networks. This practice has record executives not only fuming, but filing lawsuits against the most flagrant violators. Why? Because it violates copyright laws. Free music means that neither the songwriter, performer, nor the record company makes any money. You can see why MP3 is challenging the status quo. There are also a few paid sites based in countries with lax copyright laws that are technically legal in their respective countries but do not compensate the artist that crafted the music or the record company that published the record. Is it technically legal to download music from these sites? Probably, yes. However, is ethical to get music at a drastically reduced price that cuts the artist and record company out entirely? The answer to that question is clear. Our advice is to stick to the mainstream stores that are more than happy to confirm that their content is perfectly legal to purchase, download, and listen to. Having said all of that, most of the MP3 songs you will find online are perfectly legal because the copyright holder and the performer have granted their permission and are compensated when the music is purchased. In fact, many young musicians see MP3 as a wonderful way to get exposure for their music while eliminating the middlemen–the record companies and music stores. Even established performers make some of their new tunes available as MP3s on their websites. Many online music stores sell individual songs that can be downloaded for under $ 1.00 USD.